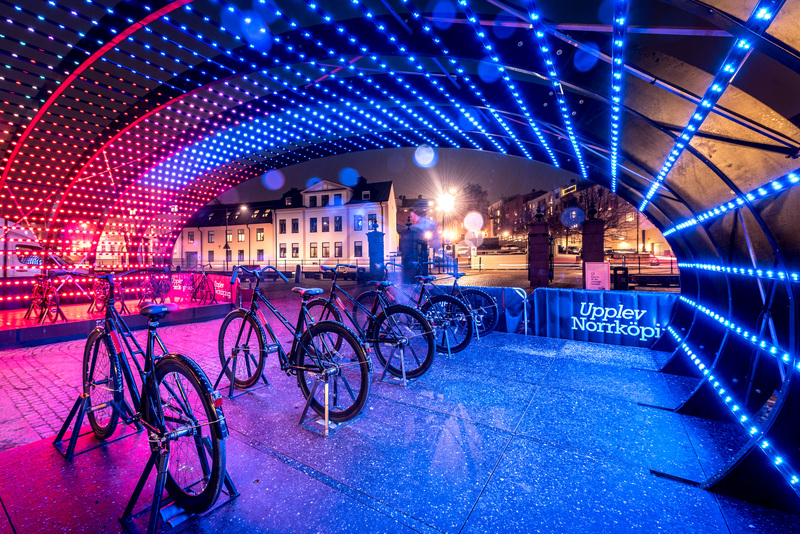 Lightbattle exists of an arch that is made out of almost five thousand LED lights, that is located along the caults of a pathway. 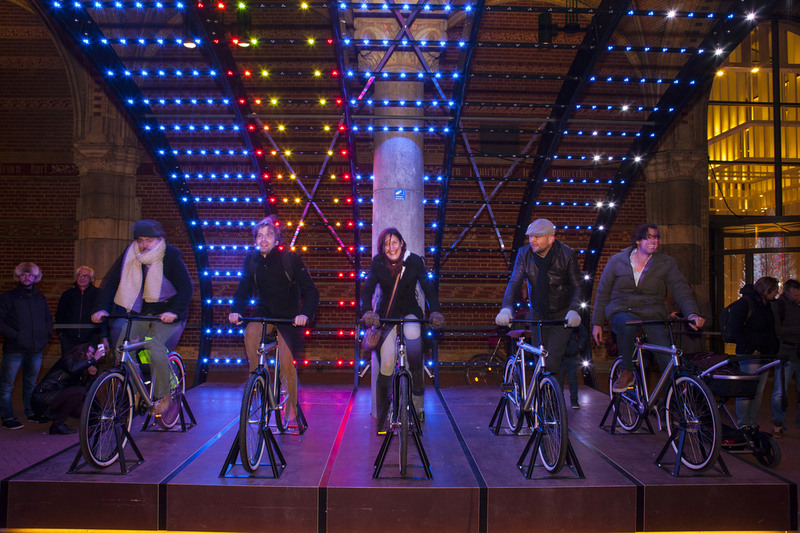 On both sides 5 bicycles challenge the visitor to step on and take part in a light battle. By pushing the pedals contesters will push their own beam of light to the other side, defeating their contestants.